It is never easy to admit when a loved one starts to show signs of memory loss. The disorder can start slow, making it easy to miss and often confusing for everyone involved. At Springfield Place and J.F. Hawkins Nursing Home, our staff is experienced at noticing the signs and helping residents whose memories are not what they used to be. Maybe it has reached a point where your loved one needs more help than you can provide. We can help you decide what road to take. We know you want to hold on to their way of life, but not at the cost of their safety and health. It’s never an easy decision to admit your loved one needs help. At Springfield Place and J.F. 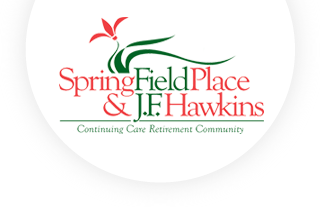 Hawkins Nursing Home, our staff has specialized training to be able to handle the situation with patience and professional care.